Black bean burgers are a real treat! Not only are they full of lean protein, but they’re very affordable, easy to make, and can be prepped ahead of time. The meaty texture of this burger is satisfying and filling, with a nice and crispy outer crust. The inside is moist and soft, with lots of texture from rice cracker crumbs. 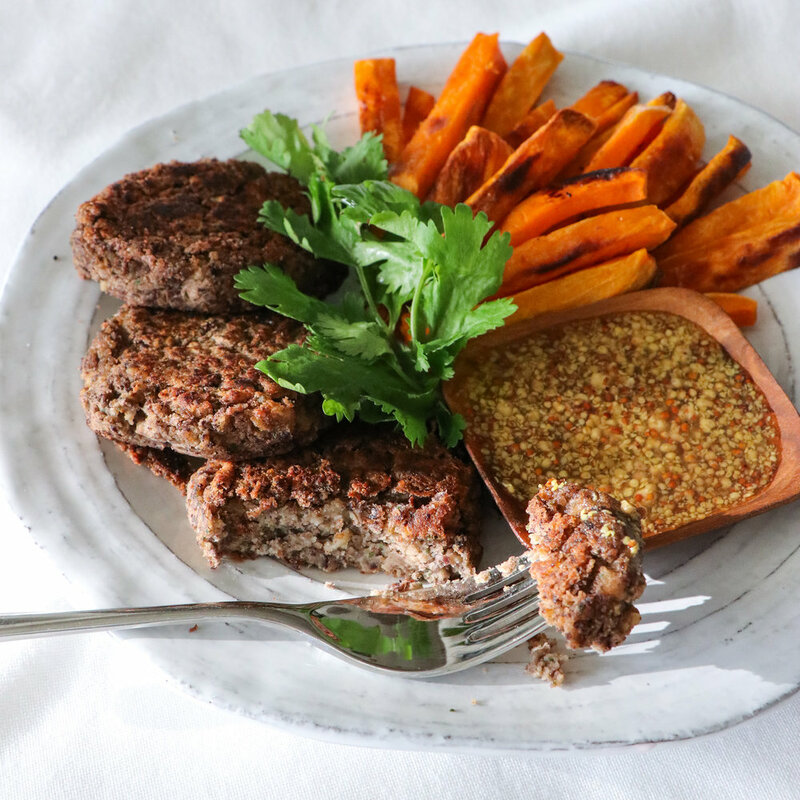 These black bean burgers are not just for vegetarians! Alternatives: For gluten-free/wheat-free recipe, use a gluten-free soy sauce. 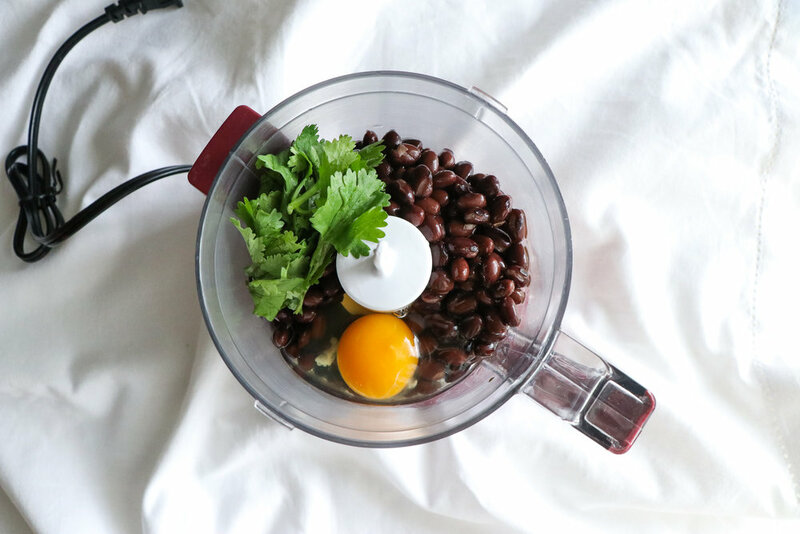 Kidney beans can be used instead of black bean, and egg replacer (aquafaba) instead of egg. If using aquafaba, you may need to add more rice cracker to help the dough stick together. Add all ingredients, excluding the rice crackers and oil, to a food processor and blend until smooth. Add the rice crackers and blend again until it’s thick and creamy. The mixture should be thick enough that it stands up on a spoon. If it’s too moist, just add more rice crackers until you achieve the desired consistency. Season with salt and pepper to taste. Spoon the mixture into a bowl, cover with plastic wrap, and chill in the fridge for at least an hour to firm up. I prefer to make mine the day before and leave it in the fridge overnight. Heat the oil in a non-stick pan and wet your fingertips. Scoop out about 1 1/2 - 2 tbsp of the dough and form into a patty. Be sure not to over-crowd the pan. Fry for about 4 minutes on each side, or until crispy and brown. To make the dressing, add all the ingredients to a small bowl and stir. 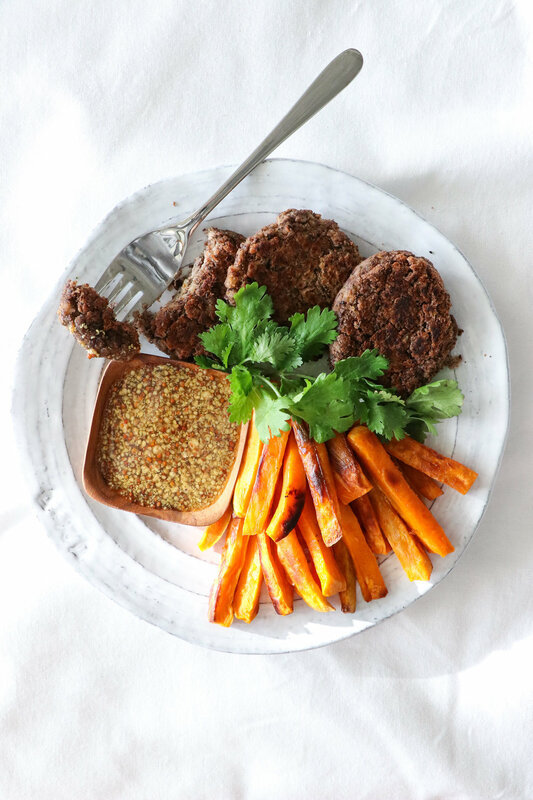 Serve the burgers hot, with a side of sweet potato fries, a salad, or rice and veggies. It also pairs well with stir-fry. Drizzle the dressing over top. Makes 6 - 8 burgers.